Titles have always been conferred on persons both to identify their functions in society and to assign honorary status. In Egypt even more than in Mesopotamia, function-related and honorary titles were so valued that officials and functionaries of varying stations collected the titles accrued in their lifetime and preserved them in a titulary, the ancient equivalent of a resume. Israelites serving at the royal courts in Jerusalem and Samaria or in local administrations also held title, but the sources suggest far fewer of them than their neighbors. 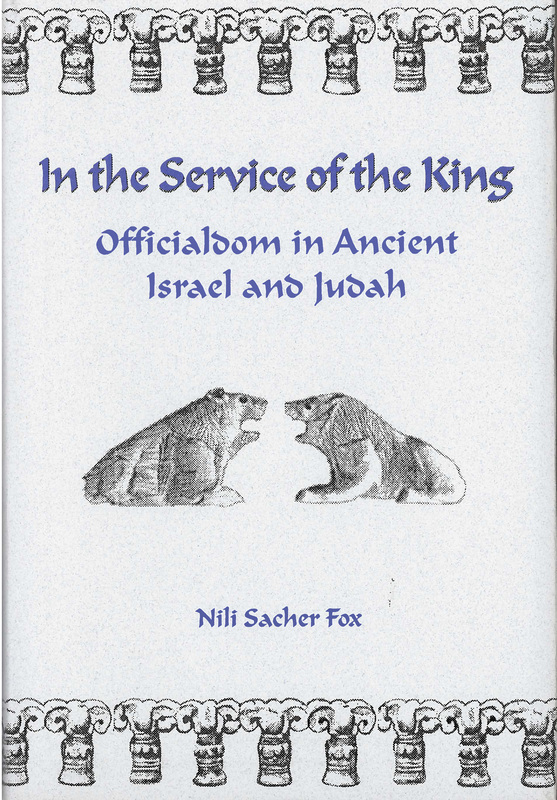 Nili Fox analyzes the titles and roles of civil officials and functionaries in Israel and Judah during the monarchy, including key ministers of the central government, regional administrators, and palace attendants. The nineteen titles fall into three categories: status-related titles, function-related titles, and miscellaneous designations that could be held by a variety of officials. Fox sets these Israelite and Judahite titles in their ancient context through extensive study of Egyptian, Akkadian, and Ugaritic records. She also draws upon the corpus of Hebrew epigraphic material, which allows her to explore economic components of state organization such as royal land grants, supply networks, and systems of accounting, which would be impossible to understand on the basis of the Hebrew Bible alone. Fox also treats the widely debated issue of whether Israelite state organization was influenced by foreign models and, if so, how much. The evidence of non-Hebrew sources offers little concrete material to substantiate theories that Israel modeled its government after a foreign prototype, and Fox offers a more finessed approach. Many features of Israelite administration are best explained as basic elements of any monarchic structure in the ancient Near East that developed to satisfy the needs of an evolving local system. Other seemingly foreign features have a long tradition in Canaan and probably were naturally assimilated. Fox recognizes the interconnections between the cultures in the region but emphasizes the need to closely examine the Israelite system with internal evidence. Nili Sacher Fox is Professor of Bible, Director of the Archaeology Center, and Director of the School of Graduate Studies at HUC-JIR, Cincinnati. She holds a Ph.D. in Biblical Studies from the University of Pennsylvania and has written on various topics relating to the history and culture of ancient Israel and its neighboring societies.